Are you a Football fan? Ready for the big game? Do you watch the big game at home? Fight for the remote? Listen to your wife nagging you about the chores you were meant to do for her? Can you eat your favorite snacks and enjoy the live action – uninterrupted? Watching at home can be great, especially if you have a few friends over, and host a BBQ. There’s nothing quite like watching Football though at a sports bar in Los Feliz though to feel like you are really part of the action. Cheering your team on, with fellow fans. Link N Hops is the place to be for Friday night action. Round up your crew and head to Atwater Village or Sunland, Tujunga to sample the best Los Angeles has to offer. Going to a sports bar in Los Feliz to watch a game is a great way to meet people. The spirit, the excitement – it’s the next best thing to being at the actual game. Sure, there may be regulars who know the barman’s name and get beers served to them while you’re still trying to get his, or her, attention but that’s all part of hitting the scene. Don’t worry ladies. You can go solo too. It’s all about having fun, enjoying the game – and who knows what interesting people you could meet. Grab your single buddies and make a night of it. Get your guys a-hopping to the Link N Hops for a night full of fun. Get your game faces on, and don’t forget to decide who is going to be the driver. Or, if you’re going to order an Uber later. 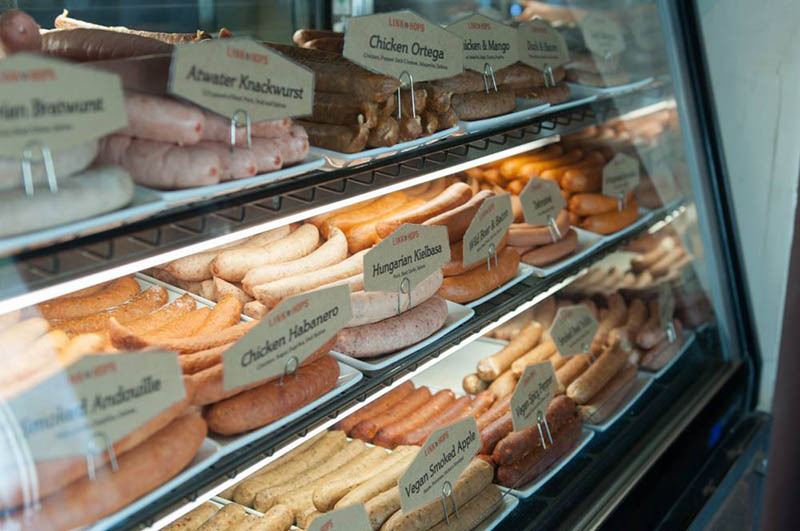 Game night, beer and great sausages go together like white on rice. Choose fries. Choose life. Choose the best spot where you can watch the game, and if you’re lucky – maybe you can meet a pretty lady, or two. Game nights are always popular, and you’re sure to enjoy a festive crowd. Watching at home is comfortable but being a part of the action is so much better. Cheer along as a touchdown is scored. Feel the tension as the minutes count down on the clock. Be a part of the crowd and enjoy the cosmopolitan L.A. folks. Whether you are going to Link N Hops solo, or bringing your Pack, you’re going to have a great time. Step out of your comfort zone and feel like you’re stepping out, under the lights. The game is over at home. What do you do? If you’re at home, you’ll probably head to Club Duvet. The good news is the at Links n Hops the part isn’t over. The music is playing, DJ spinning – maybe there’s a song that gets your feet tapping. 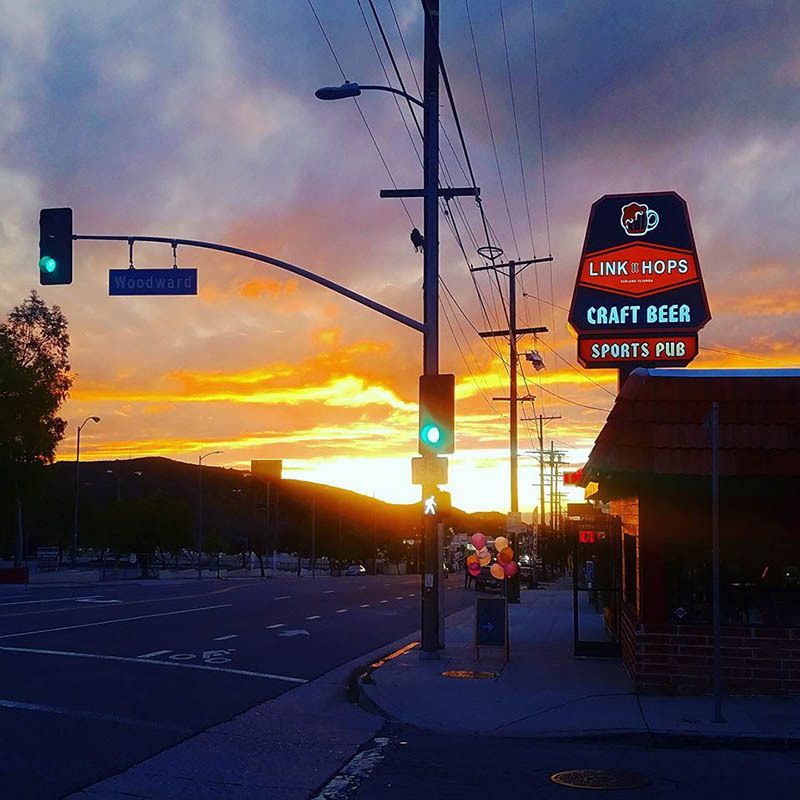 Whether your team wins or loses, you can be assured that at Sunland, Tujunga or at Atwater, Links N Hops you’re going to be having a great time. Win. Win. 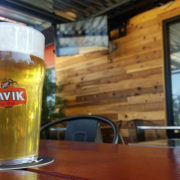 Craft Beer and Football at Link N Hops – What’s not to love? Do you know that beer is the most popular alcoholic beverage in America? It’s popular the world over! From London to Los Angeles, there are millions of beers being consumed annually, and they are often enjoyed while watching the game. What game you ask? Well, two teams of men facing down and preparing to do battle. Craft beer and football at Link N Hops are the best combination for the game day. In America gridiron football, in Europe and South America, it is soccer. So, whether it’s a pigskin, or kicking for goal, an ice cold brewski is the perfect match. While your team is going for kick-off, you’ll be kicking back, and cheering. Nirvana. 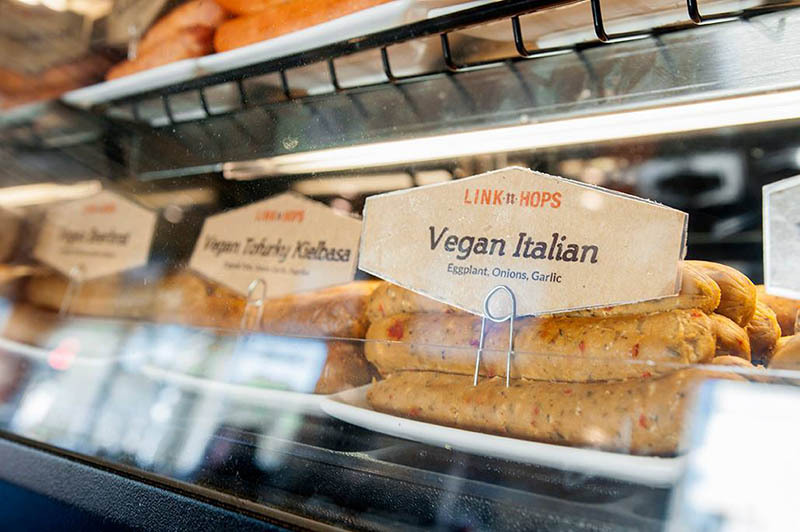 Get down to Link N Hops in Sunland, Tujunga or Atwater village to enjoy one of the world’s oldest traditions. At the end of the workday, or relaxing at home, cracking a cold one is a green light for switching from work mode to chill mode. The same goes for football and a beer – it’s a tradition that goes back more than 135 years and probably longer too. From the dawn of time men have made beer – the ancient man probably made beer and enjoyed watching sports. After hunting for dinner, of course. As old as time, beer and sports have been a faithful love match. Game. Set. Beer. For some, the experience is almost religious. A cup of coffee might charge up your day, but it’s definitely an offside beverage for football. Game on. Get your brewskis chilled, or your craft beer brewing – its ball season and you need to get prepared. 56% of Men and 46% of women vote beer as their favorite drink. In 1880 saloon owner Chris van Ahe noticed something unusual in his saloon, following football games with Brown. People drank more beer. He decided to start selling at the games. And so, a long-standing tradition began of drinking beer at the games. Tailgate fans enjoy on average about two drinks, before the game. 48% of sports fan enjoy having an alcoholic beverage while watching the game. It goes back around 7000 years, across all cultures. Pop down to a Link N Hops to join in the fun. You can have non-alcoholic beers too if you’re the designated driver or book an Uber to take you home. Whether you’re a Liverpool fan, wearing a New York Giants jersey or don’t happen to know that much about ‘footie,’ ‘touchdowns’ or ‘off-side rules’ one thing you can be sure of is that at Link N Hops you’ll always score big. 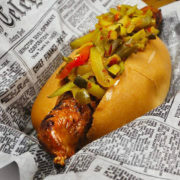 With craft beers, Happy Hour, specials on fries and a selection of sausages you’ll always be on the winning team. Homer Simpson was a Duff’s beer fan, but you can have your pick from ales, lagers, tap beers and a menu that will have you wishing every night was game night. Score. 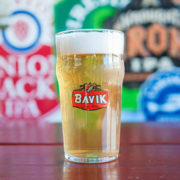 Everywhere in the world, there’s a fan sitting down to a beer – room temperature, chilled – the choice is yours, the debate as you wish the perfect amount of foam. Cheers. https://linknhops.com/wp-content/uploads/2018/06/Football-at-Link-N-Hops.jpg 597 800 https://linknhops.com/wp-content/uploads/2017/03/LinkNHops-logo-new.png 2018-06-22 08:00:332018-06-21 13:28:43Craft Beer and Football at Link N Hops – What’s not to love?